It was one year ago that Federated Sports + Gaming, parent company of the Epic Poker League, suddenly announced its intention to file for bankruptcy. The announcement came on Leap Day -- February 29 -- which should have inspired more puns about Epic and “leaps of faith” than it did. So technically the anniversary will only be coming around every four years. Kind of wonder, actually, if all matters involving the FS+G and its debts will be resolved by the next Leap Day. The timing of the bankruptcy filing meant I ended up on the long, long list of FS+G’s creditors (I was owed one last invoice), and a year later I continue to be among the large crowd of folks still owed money. And who still receive the mailings regarding the latest happenings in the Maryland court where it all continues to play out. FS+G’s response to Card Player strongly suggested that the EPL wasn’t “shutting its doors” but that the bankruptcy was part of the effort to reorganize and somehow keep the sucker going. That the EPL “website and social media game are up and running” was cited in that statement as evidence that the league wasn’t planning to fold. But even then few were being fooled by such optimism, and indeed by mid-June the company’s meager assets were being sold off to Pinnacle Entertainment, thus enabling FS+G to pay back a small fraction of the $2.1 million they owed Pinnacle. 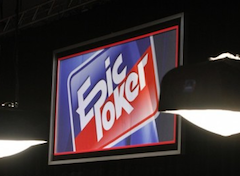 Those assets were highlighted by the Heartland Poker Tour, but also covered what was left of Epic, including the website with all of its live reports from the three tournament series, the blog, and other content produced over the league’s brief run. It wasn’t long after that I noticed the EPL site had been taken down altogether, an occurrence I noted here with dismay in a post last August. Eventually I put it together that when Pinnacle sold the Global Poker Index to Zokay Entertainment, the contents of the website had gone over as well and soon all but the GPI stuff was scrubbed away. I talked to Zokay CEO Alex Dreyfus since then, and he confirmed for me that this was how things went as far as the EPL site is concerned. Dreyfus, of course, is helping to promote the Global Poker Index ranking system into something the poker world has become increasingly intrigued by over the last few months. I believe the GPI will become a bigger part of the scene this coming year thanks to a new partnership with the World Poker Tour and plans for the upcoming WSOP in Las Vegas. 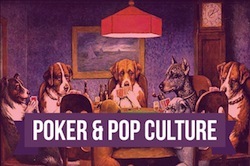 In any case, to mark this one-year anniversary I thought I’d today start reposting some of those “Community Cards” columns here on Hard-Boiled Poker. I won’t be publishing them all here, but there were a handful in I have wished were still around on the web. 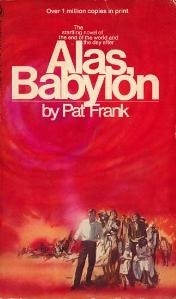 I’ll tentatively plan to use the next few Fridays to share these columns, starting with one titled “Men, Women, and Poker in A Streetcar Named Desire,” which I’m posting separately today.